DevOpsDays is a self-organizing conference for DevOps practitioners that depends on your sponsorships. We do not have vendor booths, sell product presentations, or distribute attendee contact lists. Sponsors have the opportunity to have short elevator pitches during the program and will get recognition on the website and social media before, during and after the event. Sponsors are encouraged to represent themselves by actively participating and engaging with the attendees as peers. Any attendee also has the opportunity to demo products/projects as part of an open space session. The following chart outlines our sponsorship packages. Drop us an email at organizers-washington-dc-2018@devopsdays.org If you have questions or are interested in sponsoring. Are you or your organization sponsoring DevOpsDays DC 2018? Please check-out our Sponsor FAQ for the latest information you will need as you make your preparations for the event. Setup And Teardown: Sponsors will have access to set up booths from 3-5pm on Tuesday, June 5 and 7-8am on Wednesday, June 6. Sponsors are asked to have their booths torn down by 3pm on Thursday, June 7. 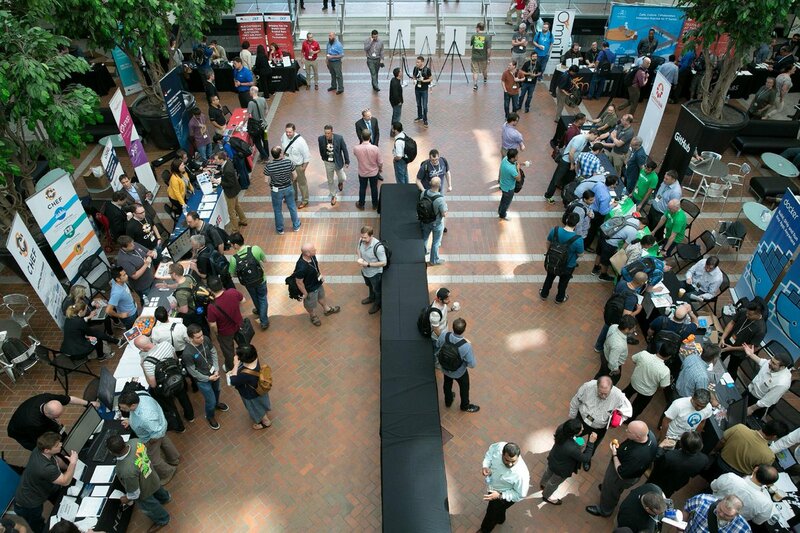 Become A Sponsor For DevOpsDays DC 2018 Now! The media sponsorship is ideal for podcasts, blogs, news outlets, and other media who support DevOps. This sponsorship is free but we ask that you share information about DevOpsDays DC with your audience in order to become a Media Sponsor. Please contact organizers-washington-dc-2018@devopsdays.org for details about becoming a media sponsor. The community sponsorship is ideal for local meetups, co-working spaces, and other communities who support DevOps. This sponsorship is free but we ask that you share information about DevOpsDays DC with your members in order to become a Community Sponsor. Happy Hour will be held on Wednesday, June 6 from 5PM to 7:30PM. Conference attendees will be invited to the happy hour. Additionally, we may invite other members of the DC technical community to join us, space permitting. The Happy Hour sponsorship includes some special perks not listed in the table above. Become A Sponsor For DevOpsDays 2018 Now!